Apple proudly announced on Thursday that it had doubled the number of suppliers using only clean energy to produce its products — including iPhone manufacturing giant Foxconn. However, while Apple may toot its own horn for forcing its suppliers to adopt ‘clean’ energy, the phone giant’s commitment to social responsibility is piecemeal at best. While it may manufacture its new products cleanly, Apple clearly isn’t concerned about the impact of its existing products. The company has cynically and deliberately made its products hard to repair over the years. This means that users, rather than being able to fix their own products, have to take them to Apple for repair. According to iFixit, Apple’s MacBook lineup, not to mention its iPhone models, have grown harder to repair over the years. Now, there’s no solid evidence to suggest that Apple’s store staff try to pressure consumers into buying replacement products, rather than offering repair options, but its opposition to right to repair legislation certainly doesn’t look good. Expensive and finite resources are wasted in creating these new products. The energy might be clean, but the process of extracting and shipping materials isn’t. It’s worth noting that Apple isn’t alone in opposing right to repair to repair bills, or making its products less conducive to third-party repairs, but the company’s eco-friendly proclamations certainly smack of hypocrisy. While Apple boasts about the way it cares for our planet, it doesn’t seem to care as much for some of the people living on it. Violating human rights laws 54 times. That’s an average of five alleged violations a month. Again, it’s not the only tech company facing allegations of this nature and on this scale. Samsung, for example, was hit with 45 employment conditions violations and 64 health and safety violations over the same period. Apple does claim in its 2019 Supplier Responsibility report that it has seen improvements in labor conditions across its supply chain, when measured against its own metrics. However, why Apple chose to talk up its environmental chops rather than its labor relations standards, again, speaks volumes. Perhaps the environment is more relatable to the majority of western consumers that buy its products? Perhaps these consumers don’t want to think of the blood, sweat and law-breaking that went into building their slabs of glass and metal? This brings us to cobalt mining. Cobalt is arguably the most important material in modern tech products. It is essential in the construction of lithium-ion batteries — the things that power everything from iPhones, to Teslas. Over 60% of the world’s cobalt is found in the Democratic Republic of the Congo (DRC), an enormous country in the centre of Africa. It could easily swallow up Texas, California and Florida with room to spare. But much of the cobalt used in tech manufacturing comes from unauthorized mining areas. According to Amnesty International, there are between 110,000-150,000 people working in cobalt mines in the DRC alone. They mine the mineral by hand, using basic tools. Some of the workers are as young as seven years old. 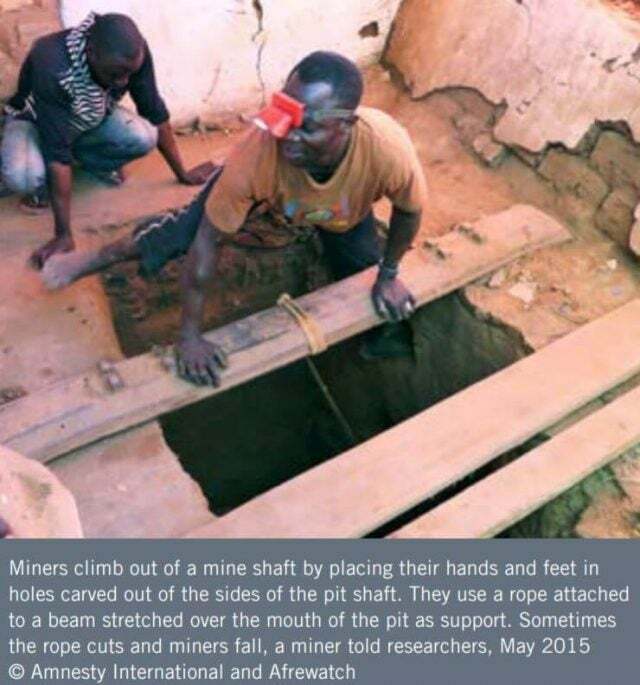 The mines are notorious for poor working conditions. The miners are seldom issued with even the most basic of health and safety protections — such as face masks — and as a result regularly contract potentially fatal respiratory diseases. What’s more, the underground mines are treacherous. At least 82 miners are meant to have died in accidents in 2014 and 2015. However, the true total may be much higher. The energy powering Apple’s factories, offices and stores might be clean, but the company still makes extensive use of plastics throughout its product lineup. Currently, the speaker enclosure and cover glass frame on the iPhone XS are made from 35% and 32% recycled or bio-plastics, respectively. This is admirable, but two-thirds of these components are still using new plastics. And what about all the other plastic components in iPhones? 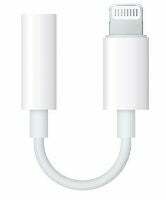 What about the plastics that make up the charging cables, bundled headphones, or even the notoriously easy-to-lose headphone dongles? While plastic, thanks to its lightness and ease of shaping, is ideal for these components, Apple needs to find a way to move on from using new plastics for these parts. Otherwise, all its talk of clean energy is useless if it is still knocking out plenty of plastic accessories, that are easy to break and lose. With all that being said, Apple’s commitment to environmentalism is pleasing to see. As is its record of education around the world. However, it can and should be doing more. It is uniquely positioned within the tech world, being seen as a visionary company that others will follow. What’s more, it has an army of devoted fans that ensure regular cash flow; it doesn’t have to worry about whether the next iPhone is a hit — it will be. What’s more, Apple has enormous amounts of cold, hard cash in the bank. This money gives it the security to literally clean up its act. Unfortunately, Apple isn’t putting its money where its mouth is when it comes to environmentalism, sustainability, and social responsibility.